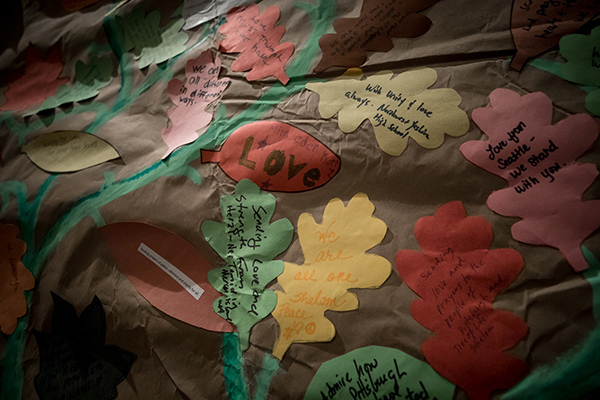 “Hate will not chase me out of my house, G-d’s house,” Rabbi Jeffrey Myers, Tree of Life * Or L’Simcha Congregation told the small group of Jewish leaders from Federations and JCCs from around the country who traveled to Pittsburgh on November 13th to show support to that community and to learn what we could from the massacre and ongoing trauma that remains with the Pittsburgh Jewish community. There is visible evidence of the massacre. A shattered exit sign is boarded over. Bullets have penetrated the siddurim and the reading table where Rabbi Myers was leading the service. Where there used to be marble near the Aron Kodesh (Holy Ark), there are more bullet holes. As you look around the room, you cannot help but be struck by horror. This act was not just motivated by hate – it was motivated by a very specific hate: anti-Semitism, hate against Jewish people. The experience was reminiscent of visiting synagogues in Europe that now stand as memorials of the Holocaust. Except, this isn’t Nazi Germany, this is Pittsburgh – just a short drive away from Jewish Cleveland. And it’s 2018. When discussing rebuilding, it was acknowledged that many people may not want to walk into that room ever again. The question was posed and left with no answer: we will rebuild but what will we build? 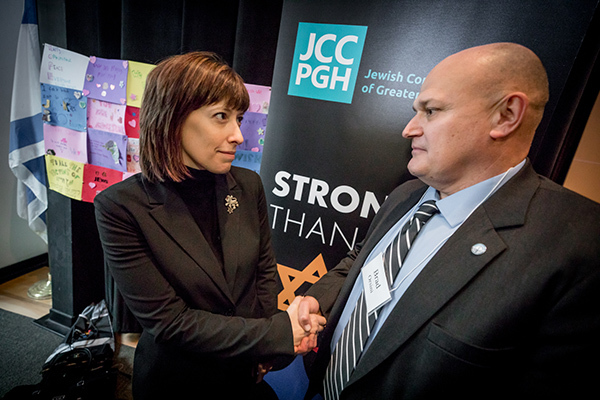 During the day, we met with leaders from the Jewish Federation of Pittsburgh, Jewish Family and Children Services (JFCS), and the JCC. Their expression of strength and unity was palpable. We learned of the trauma experienced by the families of the victims, by those injured or who escaped the shooter’s rage, by those fortunate community members who were still in the parking lot when the violence began, and those who watched police cars and SWAT Teams speed down their streets. The FBI briefed us on services provided by their Family Advocacy Center, as well as the importance of having close relationships within the Jewish community and throughout the general community before a crisis occurs. We must work together. We must care about each other and have real relationships across the community – including outside of the Jewish community. Relationships and community make us stronger than hate. Our ability to respond to tomorrow’s unknowns is dependent upon our ability to keep our community’s organizations and institutions strong and coordinated today. 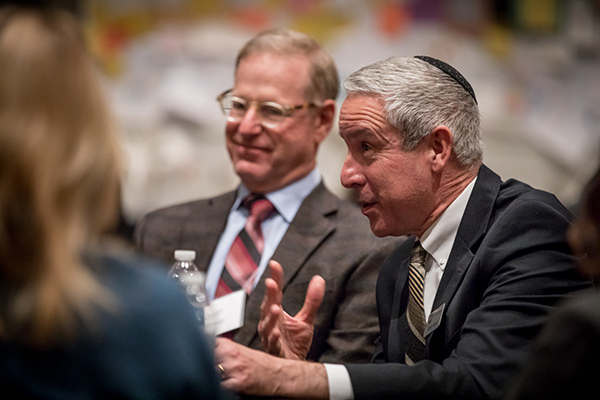 The dollars raised each year through the Federation’s annual Campaign for Jewish Needs are critical to the current and future health of our community. Community security is not optional. Training and site control saves lives. We all need to rebuild. 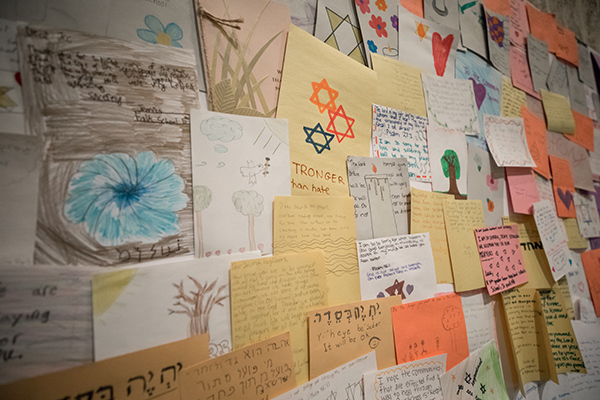 At the same time as we explore options to increased security, we must reaffirm our commitment to Jewish community and to engaging more people in Jewish life and community. That is the most concrete demonstration of being stronger than hate. 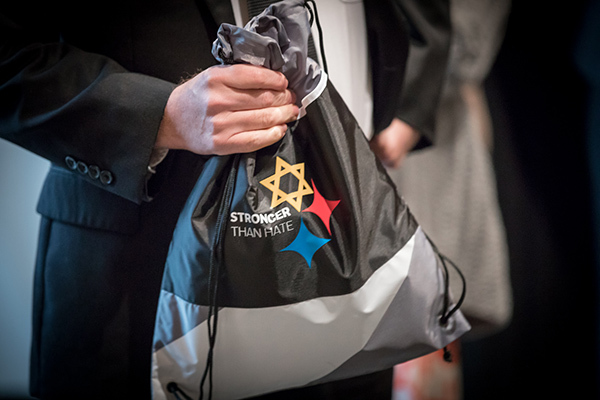 Jewish Pittsburgh will not be defined by this hatred. But it will also never be the same. Neither should we let ourselves be defined by those that want to do us harm. Now, more than ever, we must stand together – and recommit to strengthening our relationships across the entire community. Kol Yisrael arevim zeh la-zeh.